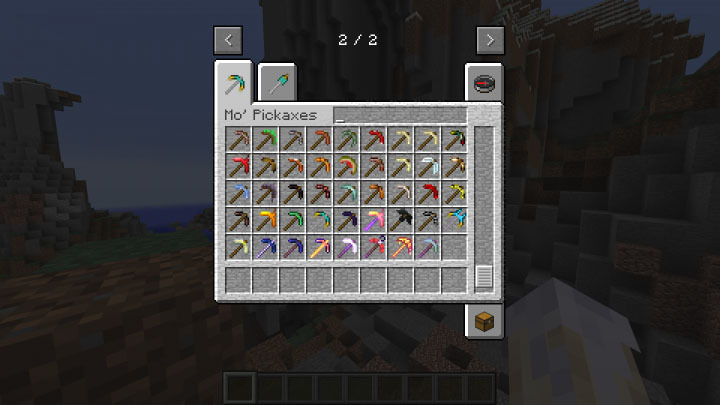 Mo’ Pickaxes Mod 1.12.2/1.11.2 adds over 50+ Pickaxes made out of Vanilla materials. Each one has its own stats. 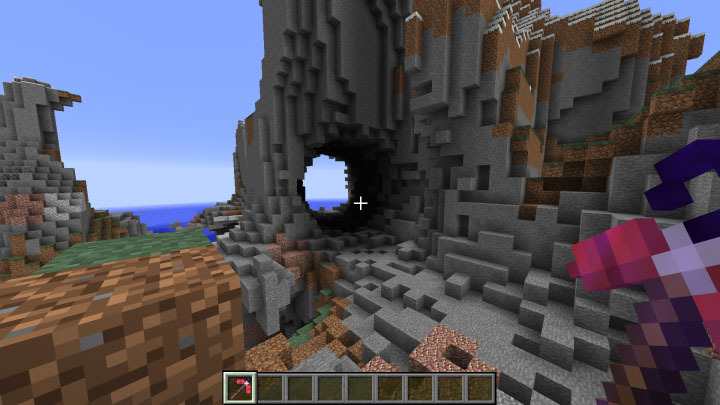 The half of the pickaxes are pretty much useless (common – uncommon), but the mod should provide you the ability to make a tool out of almost everything you have. The other half is better than iron, which make them a rare pickaxe. 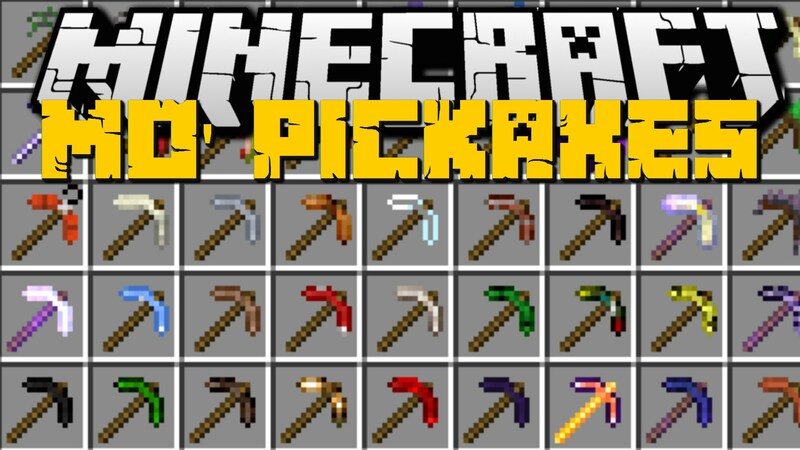 Epic Pickaxes are better than diamond (not in every stat) and they also have unique stats. 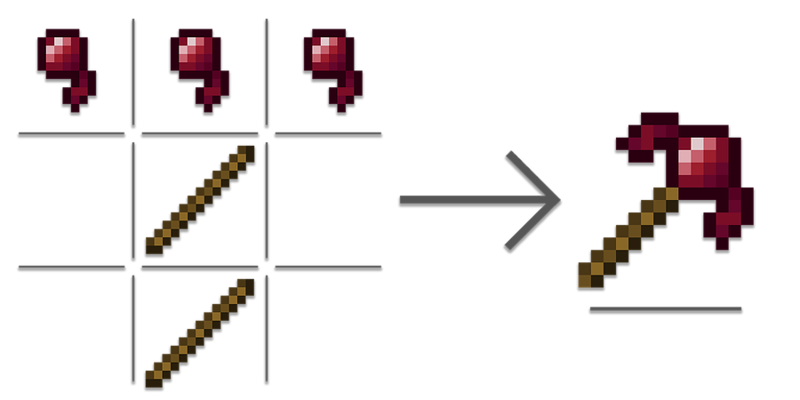 And then there are Mythic Pickaxes, which have a special ability and can be used by right-clicking. If the grip is orange, then it needs two blaze rods, light grey two iron bars and grey two cobblestones.